Explorer's Guide Maritime Academy offers NMC and FCC-credentialing courses in four formats - classroom, online, blended, and distance learning. Classroom courses are taught in Wisconsin, Illinois, Minnesota, Michigan, California. Other sites can be individually arranged for groups. Looking for a maritime job to justify taking our course? Here is a pdf list of current maritime jobs posted on Indeed.com. Need to upgrade, we can help! Class sizes are typically small, affording ample student/instructor interaction. Our instructors are experienced in meeting the special needs of adult learners. Need more information or have questions on which license you qualify for? Give us a call at 920-733-5500. We'll be happy to help. Veterans Welcome. We are approved to accept GI-Bill for payment. Three courses in one weekend. This is a combined class, including Upgrade to Master 100-Ton Inland/Great Lakes; Upgrade to Master 100-Ton Near Coastal; and Increase in Scope from Inland to Near Coastal Routes. We are able to offer all three courses at the same time, as a number of lessons overlap. Friday evening and early Saturday are for the Increase in Scope and Near Coastal. The rest of the lessons are for both Inland/Great Lakes and Near Coastal Waters. A Master’s credential is required for operating inspected vessels or vessels carrying more than 6 passengers. For those mariners who already have a Masters Inland or Great Lakes license, but wish to upgrade to a Masters Near Coastal, the Master Increase in Scope class is what you need. Your current Master’s credential, combined with this class, will allow you to use your Masters along the coastal U.S. – Florida, Texas, Carolinas, Alaska, California, and Pacific Northwest. Operator of Uninspected Passenger Vessels (OUPV) is better known as a "6-pack" or captains license. This is a starting point for most mariners and ideal for fishing guides, dive operators, etc. Our Captain license classes (OUPV) cover all three routes, Inland, Great Lakes and Near Coastal waters, in online or classroom format. If you w ant to operate an inspected vessel, a vessel with more than 6 passengers, you need to upgrade your license (Merchant Mariner Credentials) to a Master's. The actual tonnage endorsement you receive depends on your sea service. Our Master 100 Ton course is approved for Inland, Great Lakes or Near Coastal waters. Do you want to work along the coast but do not have a near coastal route endorsement?. We can help with our Masters Increase in Scope course, which adds near coastal routes to your Inland/Great lakes credentials. Master Increase in scope to Near Coastal waters. If you operate an inspected vessel on the Great Lakes or Tidal waters you will also have to have an FCC Marine Radio Operators Permit. Auxiliary Sailing for Master License is only for captains working on an inspected sailing vessels. Exp lorers Guide offers several classes for larger commercial vessels in both online and classroom format. The courses are easy to take along when working on the boats. If you are interested in working as a rating on tugs and larger boats, we offer an Able Seaman with Lifeboatman Limited course. Able Seaman, including Lifeboatman Survival exam course. With the OUPV to Mate 200 Ton endorsement and proper sea service, you can request an upgrade to Master 200 Tons without further examination. You can go from OUPV with one year of sea service on vessels over 67 tons to Master 200 Ton with this program. Upgrade your OUPV license to Mate 200 Ton. Mariners may be required to take the 50-question Navigation Rules of the Road exam (Q100). We offer this exam, which also meets the criteria for Rules of the Road USCG Deck Watch Officer exam. The staff at Explorer's Guide Maritime Academy will work with you from start to finish. We can advise you on the type of license you need, answer any questions you may have on licenses and application documents, and assist you with your enrollment. Instructors work with each of their students to ensure they understand the material and are prepared for the final exams. 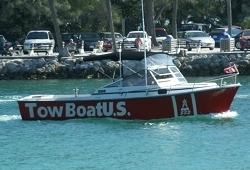 We want you to be knowledgeable and safe boaters and successful in your careers. Just let us know how we can help. Captain license Classroom classes are held in: California - Grass Valley; Ft Bragg, Cresent City, Minnesota - St Paul; Wisconsin - Appleton, Milwaukee, and Sturgeon Bay. Additional sites may include Upper Peninsula of Michigan, Hilo HI, Chicago, IL, and other cities. Call us to see if we have an upcoming class scheduled in your area, or click on the button below to see the full schedule of classes at each location. Online classes are also available for students worldwide. Access to the course material is available 24/7. These are in the same format as our classroom classes. Students work through the material at their own pace, and are then required to sit for a proctored final exam at one of our USCG-approved proctored exam sites located nearest to them. Upon successful passing of the exams, a course completion certificate is issued and emailed to the student. Our friendly maritime academy staff will assist you with captains license course registration and answer any questions you may have on the different types of licenses, sea service time, license requirements, and course funding. "I was very impressed with the course as I have never taken an online class. Everyone I have talked to and e-mailed have been very polite and professional. I will recommend this school to the people I work with. I have been an operator of tugboats for over 30 years and found this class an eye opener to what I had forgotten." Explorers Gude Maritime Academy has received approval by the Wisconsin Department of Veterans Affairs to offer Veteran's education benefits to qualified Veterans. Only CLASSROOM COURSES at selected sites in Wisconsin are approved for this benefit. At this time, Online captains license classes are NOT covered for VA funding.